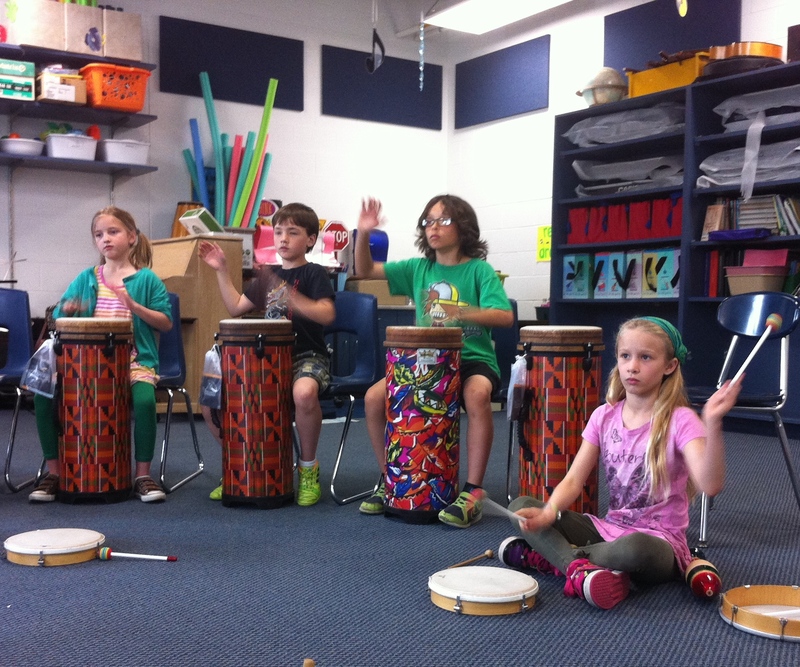 Today was the last rehearsal for the third grade D.R.U.M. Code ensemble and students are eager for their performance on Friday. 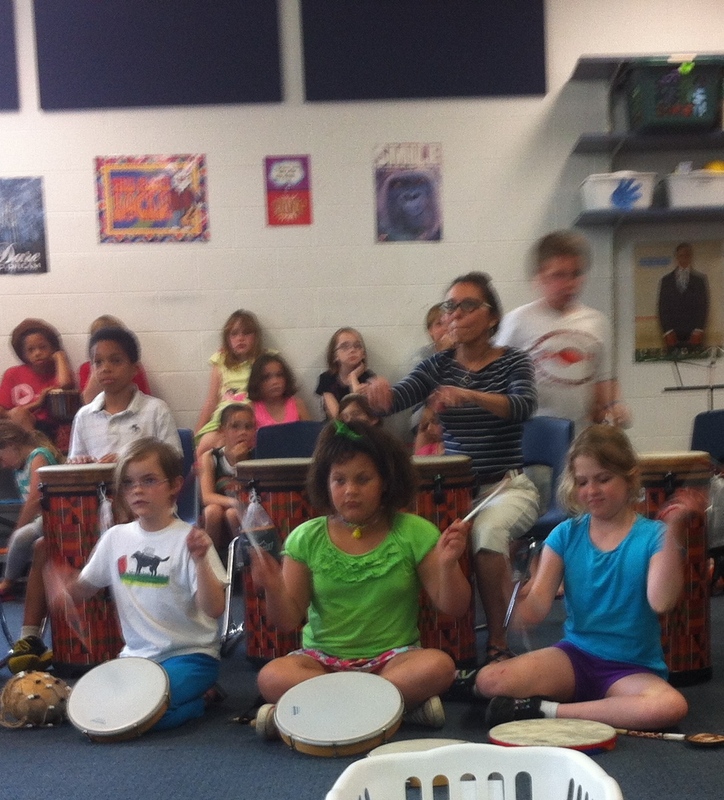 Guest Musician Darren Gilley led the students through a variety of rhythms, many that included call and response. 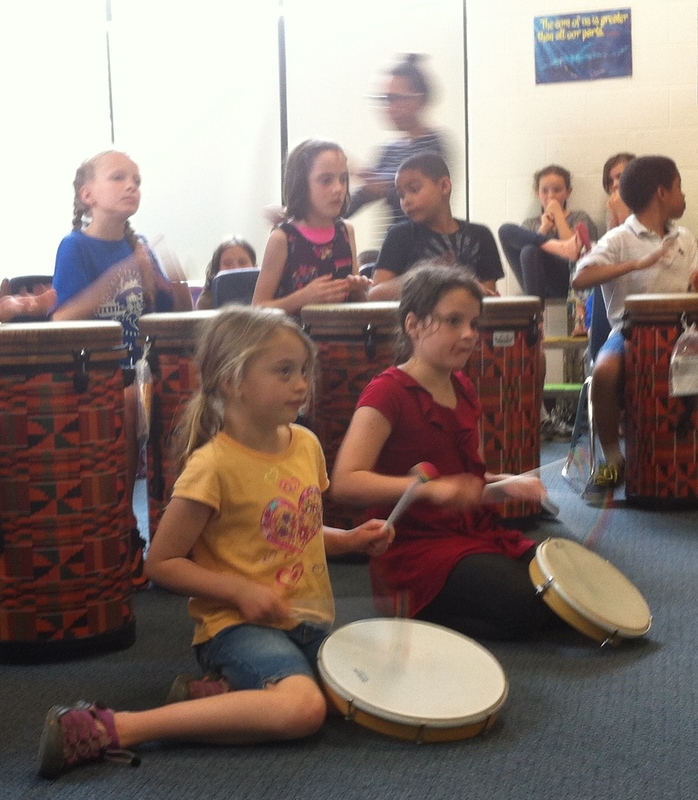 The robust sound of the students’ drumming filled the music room and looks of concentration as well as a few smiles could be found on faces throughout the room. In an interview with a few more third grade students today, I heard about the unity and togetherness that the D.R.U.M Code encourages as well as the importance of respect. 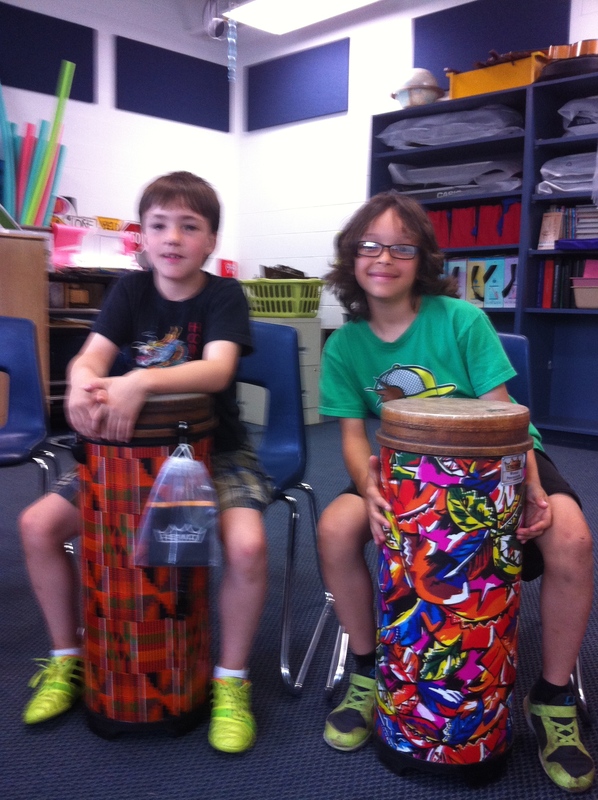 Students shared their favorite parts of the experience drumming. Take a listen in the videos below. Good luck third graders! D stands for Discipline. People with self-discipline are strong! R stands for Respect. People with self-respect make good decisions. People who respect others make the world a better place. D.R.U.M. stands for Discipline, Respect, and Unity through MUSIC!